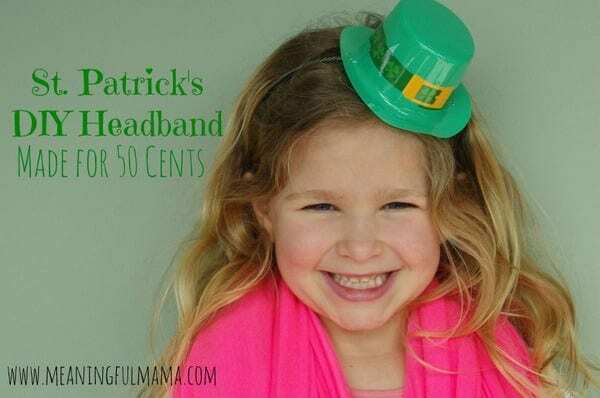 This DIY St. Patrick’s Day headband was made for…wait for it…fifty cents. Can you believe it? You gotta love the Dollar Tree. 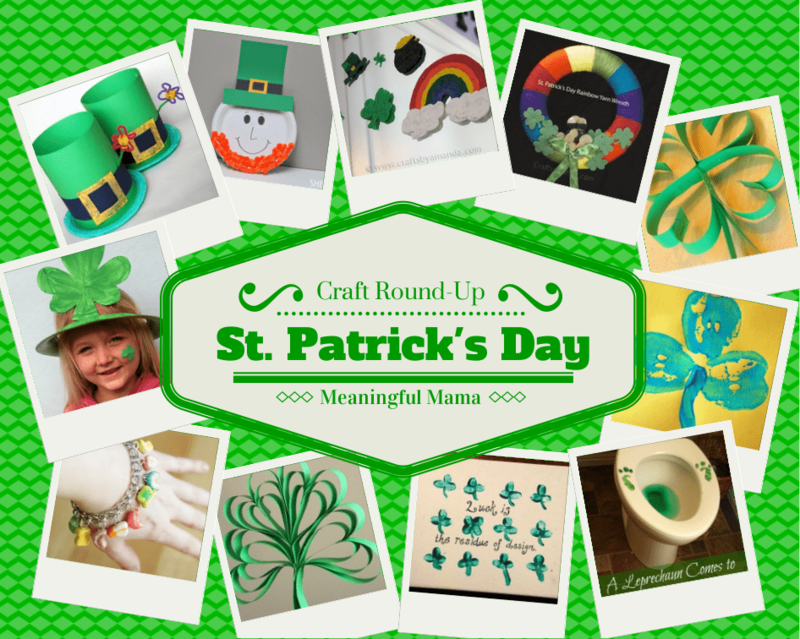 St. Patrick’s Day will quickly be here, and why not do this very simple DIY craft to create a head piece for you or your child to add an adorable touch of green. I would try to convince you how easy it is to do, but why don’t I just show you? 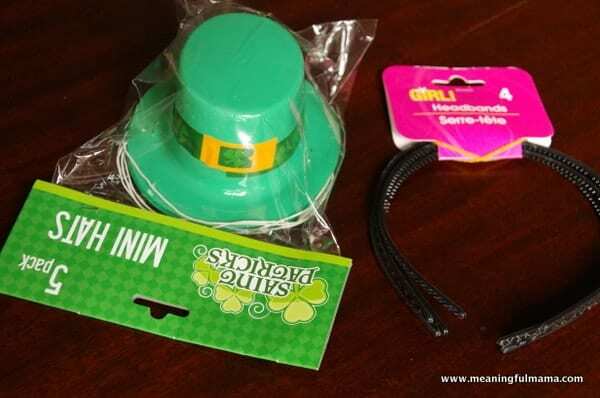 I found these little mini Saint Patrick day hats at the Dollar Tree. I also found the headband sthere too. Therefore, it cost $2.00 to make 4 mini hat headbands. 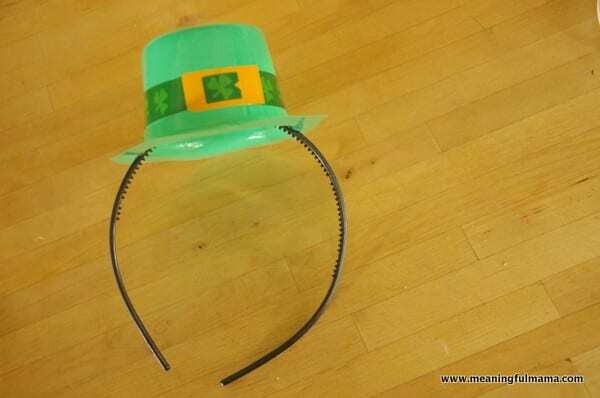 There was one mini hat left over. 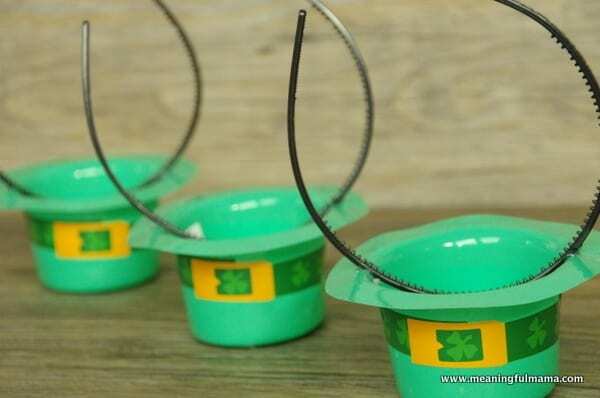 These mini hats came on an elastic rubber band. I always think those are so extremely uncomfortable. No one likes to keep them on for long. Also, they break easily. There’s something appealing about the little hats, but attached to the rubber band makes me turn away. I didn’t turn away this time. I decided to come up with another solution. I decided to attach the plastic hat to the plastic headband with a hot glue gun. “Wait a minute! !” you say. I know what you are thinking…plastic and hot glue gun to not mix. This can be very true. However, I have a trick. 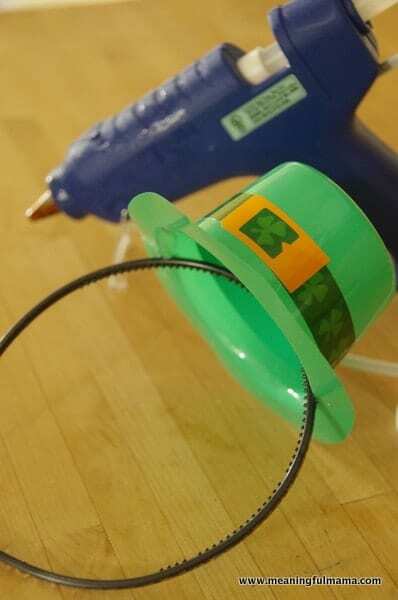 I plug in the hot glue gun and let it heat up. Then, I unplug it to let it cool down. I use it while it still is warm enough to ooze but not so hot that it melts the plastic. Easy enough, right? 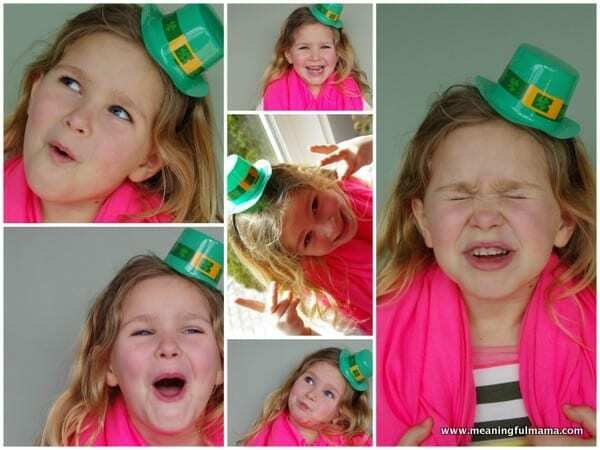 Here is your cute, inexpensive St. Patrick’s Day mini-hat headband. My sweet little Kenzie loves hers too. 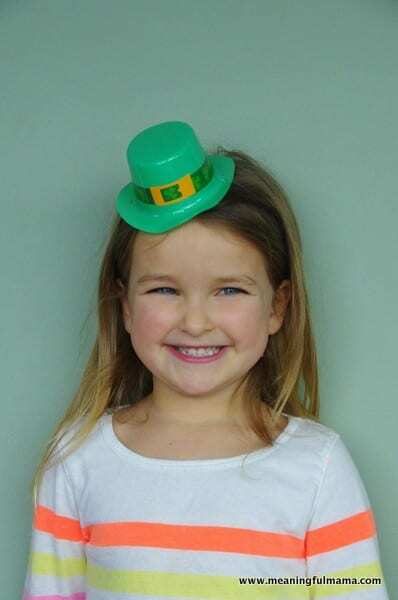 We are all set for St. Patrick’s Day. I know it is a simple modification to a Dollar Store hat, but I believe it ups the cute factor and the comfortable factor up considerably. My Abby is such a poser and wanted me to take a bunch of goofy pictures of her as well.